In the very beginning of the negotiations on the multiannual financial framework (MFF) of the EU for the period 2014-2020, the most controversial moment among the member states was where the negotiations should start from - top-down (meaning from the total amount of the budget first and then the separate policies) or the other way round (first the policies and then the total amount). Even then, the front line between those countries that want a reduction of the EU budget and those who want to keep it was drawn. In the beginning, the down-top approach prevailed to come to today's stalemate, when some countries even refuse to negotiate on separate elements in the negotiating box until the total amount is agreed. - "Security and Citizenship" - 2%. - Connecting Europe Facility - 40 billion euros, etc. - Connecting Europe Facility - up to 36 billion euros. But this proposal was met very negatively by almost all sides in the negotiations. Some member states (especially in Northern Europe) insisted on their old position for budget cuts of at least 100 billion euros, while Sweden was first to shoot in the air and to threaten that it would veto the budget unless its demand was satisfied. This raised the temperature of the negotiations significantly and forced Chancellor Merkel to recall that after the first shot usually a promiscuous fire follows. 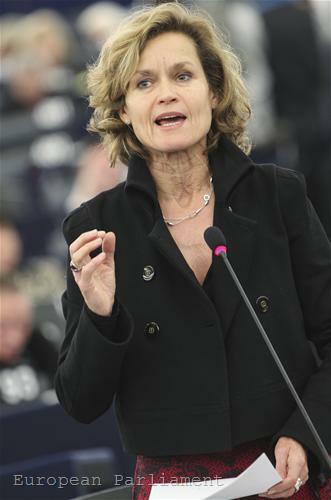 She called before the European Parliament in a special address ultimatums to be avoided. Bulgaria was also among the countries that disliked the proposal of the Cypriot Presidency. According [in Bulgarian] to Deputy Finance Minister Boryana Pencheva, the reduction of the overall budget is unacceptable. She added that if it came to a reduction of the budget after all, Bulgaria would not compromise on the following components: Cohesion Policy, Common Agricultural Policy and the money for the closure of nuclear reactors of the Kozloduy nuclear power plant. 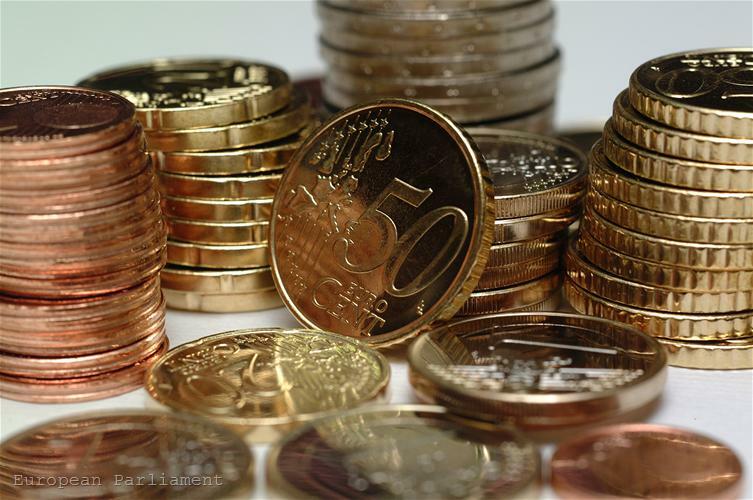 Bulgaria insists on receiving compensations of 450 million euros, instead of the proposed by the Commission 208.5 million. The surprise, however, came from Britain. Although London is always an expected rival of any increases of the EU budget, the surprise came from another place. 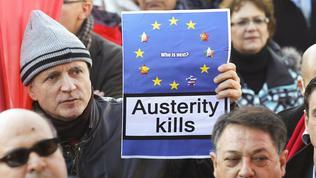 The House of Commons forced David Cameron to insist the budget to be cut by at least 200 billion euros. The storm that followed this act quickly gave grounds to fears of a possible Brexit (UK leaving the EU). 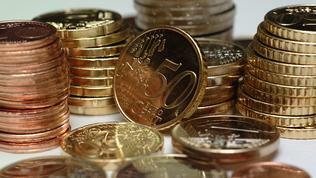 If until now the great danger for the EU was a Grexit (Greece leaving the eurozone and hence the EU), in the course of the negotiations on the budget the British exit from the EU seemed much more likely. 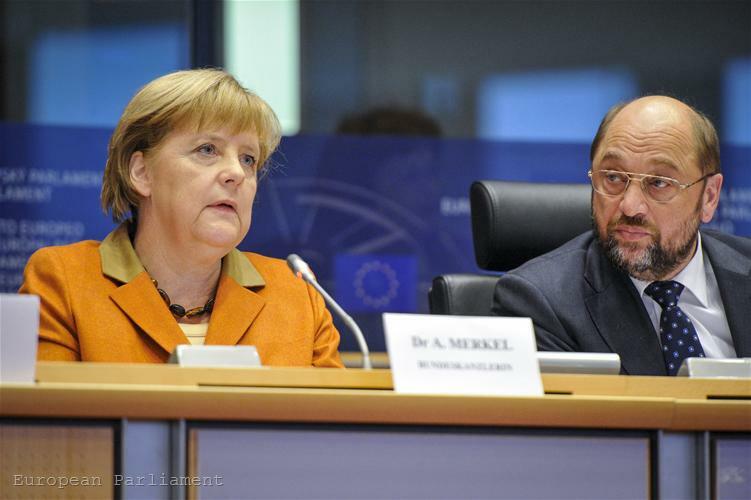 From the tribune in the European Parliament in Brussels, Chancellor Merkel, shortly before leaving for London for a meeting with Cameron, said she could not imagine an EU without Britain. She also said that for Britain, too, the loss would be huge. "When you are somewhere there alone, lost among 7-billion strong population, I don't think this is good for Britain", she added. She was joined by Polish Foreign Minister Radoslaw Sikorski, who published a special article in The Guardian in which he says that the British position meant that the country no longer was a force in the modernisation of the EU budget. 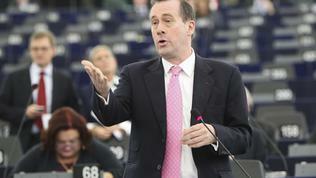 "Simply put, there remains just one justification for the British rebate – the common agricultural policy (CAP). This makes the UK a defender of the CAP because, if it disappeared, so would the British rebate". Hence, Sikorski goes on, Britain will focus its efforts on cohesion funds which are destined for the less developed regions. 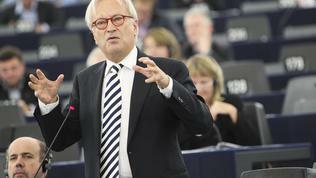 "In Poland, 52% of all public investment comes from the EU budget. Most beneficiaries of the budget are in central Europe. This is our very own late "Marshall plan", thanks to which we may at last catch up and right the wrong that we suffered at the 1945 Yalta conference". Where is Herman Van Rompuy? - Connecting Europe Facility - 46 billion, of which 10 billion will be transferred from the cohesion fund. For the closure of the first four reactors of the Kozloduy nuclear power plant Herman Van Rompuy proposes Bulgaria to receive 185 million euros which is way below the 450 million Bulgaria demands and also significantly down from the Commission proposal. 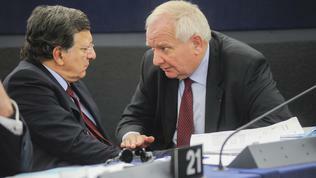 On November 21st, on the eve of the summit, there were debates on the MFF in the European Parliament. 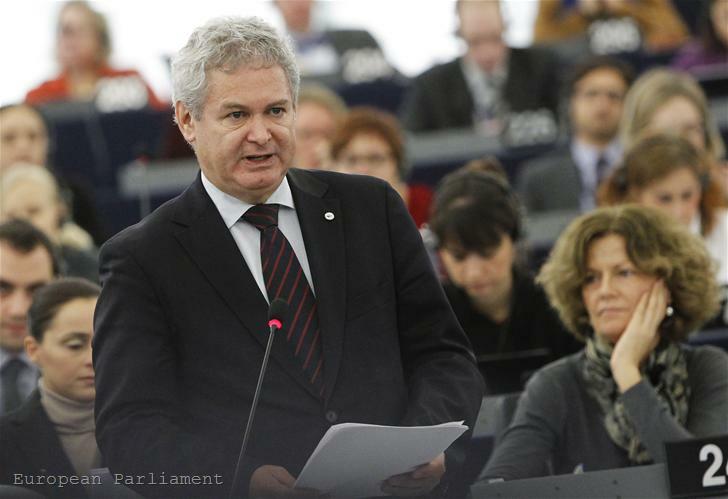 In the very beginning of the debate, Andreas Mavroyiannis on behalf of the Cypriot Presidency said that the European Parliament was very persistent in its demands the overall size of the budget to be kept as in the Commission proposal. "This has proved impossible. We have to be realistic", he said. An interesting approach was the decision European Commission President Jose Manuel Barroso to address the MEPs in French. 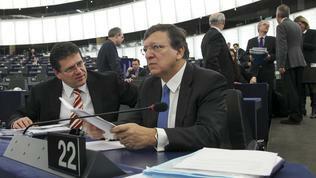 Usually, Mr Barroso speaks in English and uses French only when asked a question in that language. His speeches are also always distributed in English. But not on November 21st. 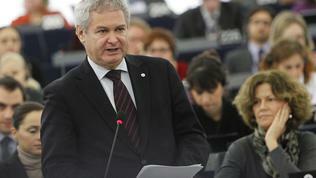 His speech was published immediately after his participation in the two-hour long debate in Strasbourg, but in French. To a question of this website whether we could expect a version of his speech in English we were told that we could use the video recording with the interpretation in it. 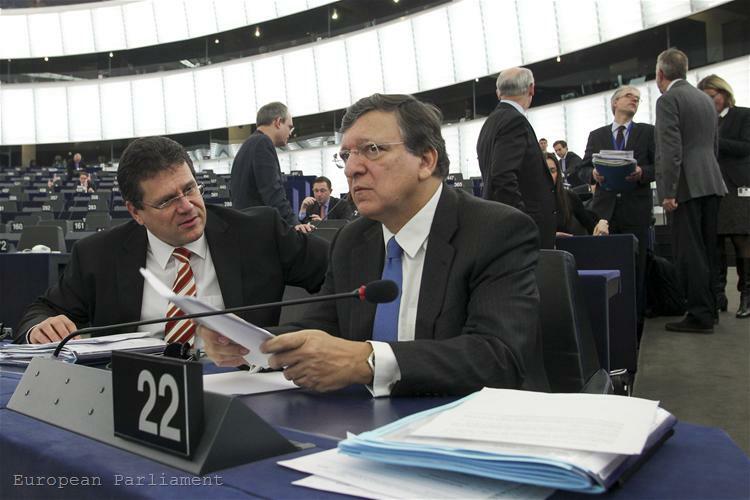 This time Barroso focused much more on issues that were of interest for the MEPs, for which he was applauded. For instance, he said that every billion taken from the Horizon 2020 programme meant 4000 small and medium sized enterprises to lose investments in innovation and jobs creation. This also meant, he added, 6000 scientists and their teams not to continue their work, hence they will not be able to contribute to EU's prosperity. Only a few percentage points less for the Connecting Europe Facility will mean, the European Commission president went on, that Europe will not be a leader in transport, that it will not be able to reduce its CO2 emissions and that it will not have good connectivity between the eastern and the western part of the continent. Barroso got applause also for saying that even a minimal cut of the budget for culture would mean that jobs creation "in this important sector" will be impossible and that the European creativity "which is needed now more than ever" will be stifled. 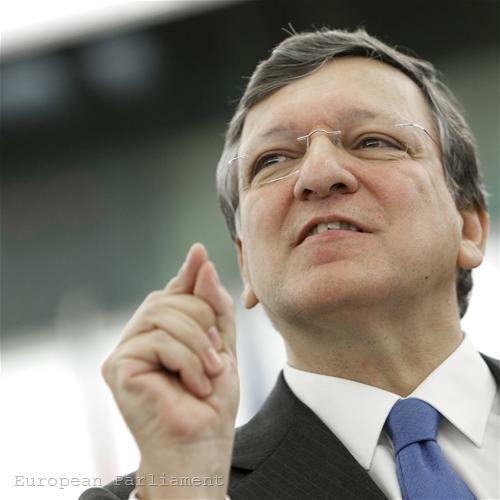 Barroso got approval also for saying that every attempt to cut the Commission proposal for the creation of a European fund for the most deprived in Europe would have a dramatic effect on 116 million Europeans, of which 25 million children, threatened by social exclusion. Just as terrible news for many people around the world would be even a small fraction of the percentage point to be cut from the European development an humanitarian aid. In other words - total refusal to retreat from the proposal. Most political groups defended the Commission proposal, excluding the group of European Conservatives and Reformists and the group of Europe of Freedom and Democracy. 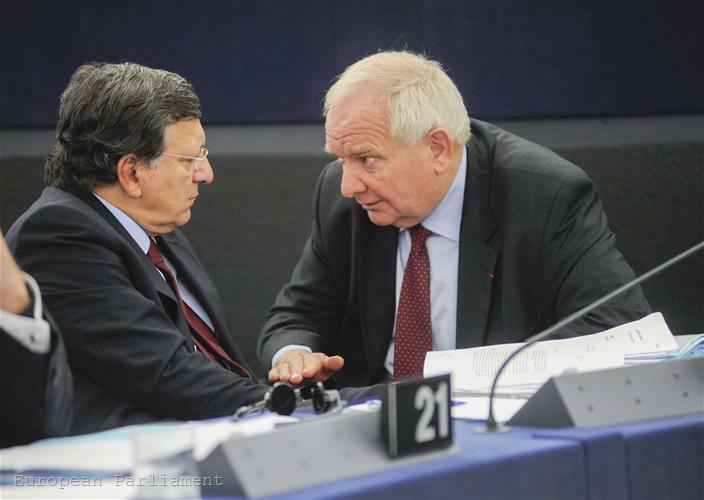 EPP group's chief Joseph Daul attacked Britain directly, saying that those who believe that the EU was only a trade area and a single market were deluding themselves. "This is a community of values and solidarity". 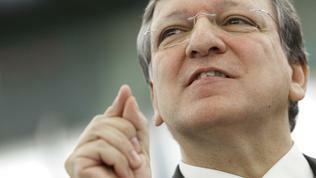 He also said that he signed for the opinion of Jose Manuel Barroso. 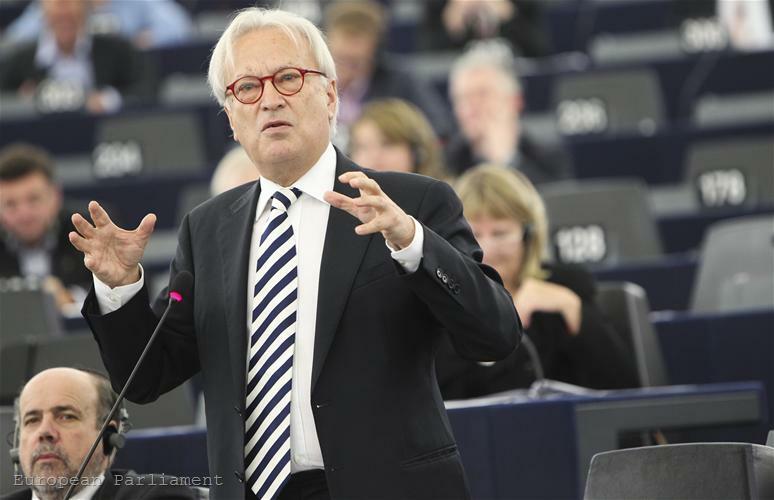 The socialist leader, the Austrian Hannes Swoboda, said that the circulation of various sums for spending cuts was "a disgraceful race to the bottom", while the Greens/European Free Alliance warned that China, Brazil and India would not wait for Europe to catch up. According to Helga Trupel (Germany) Cameron was wrong. 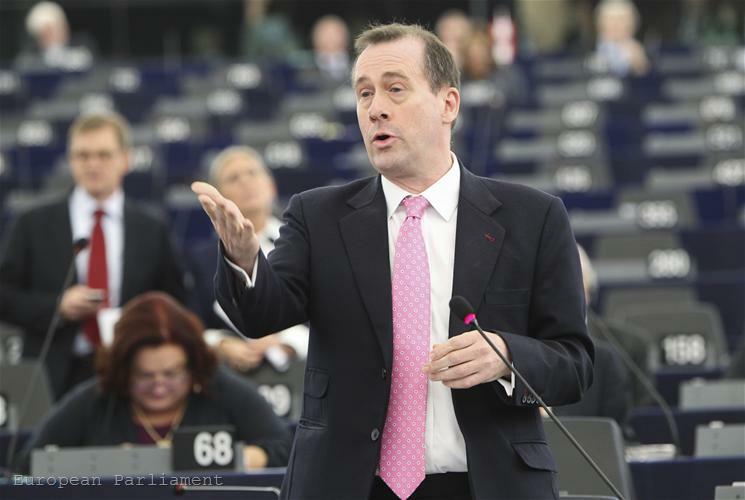 "This debate sums up everything that has to change", was the opinion of Martin Callanan, leader of the European conservatives (Britain). "If that really was an investment budget, then how come that 40% of it are still spent on subsidies for farmers? ", he asked. 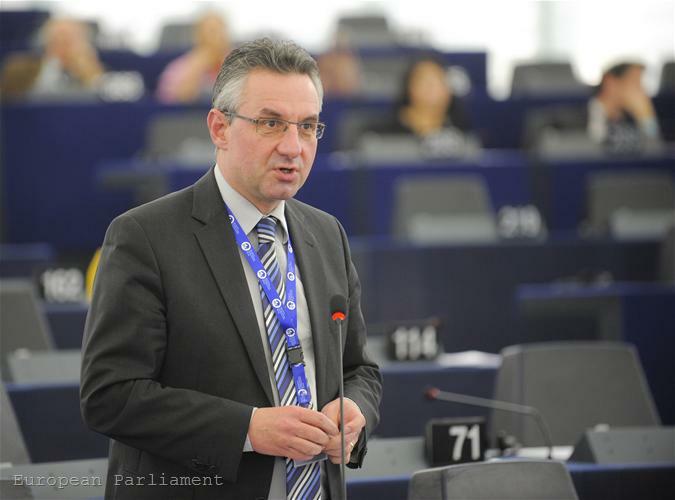 The Czech MEP from the same group, Jan Zahradil, called on the European Parliament to lead in example by being first to reduce its spending. 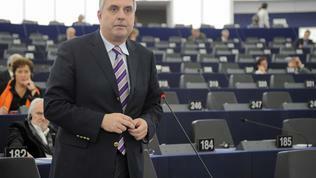 In his words, 200 million euros would be spent if an end was put to the "travelling circus" - the monthly movement of the MEPs from Brussels to Strasbourg for plenary sessions, which however are included in the EU treaties. He also thinks that the European Parliament information offices in the EU capitals could be closed because he said he did not know what they were doing. 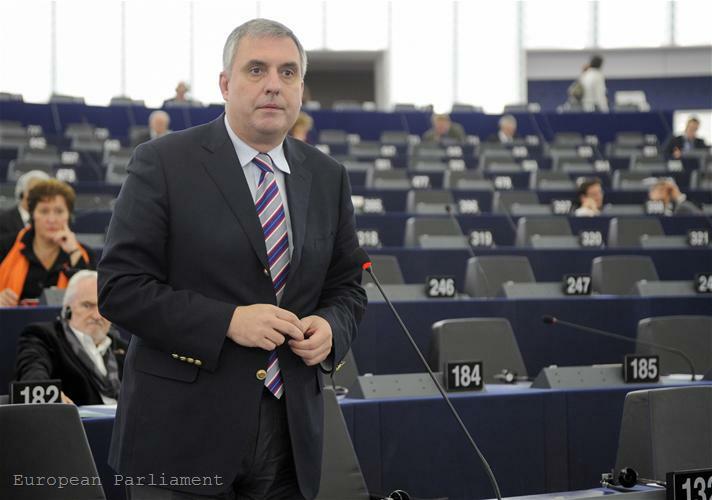 Bulgarian MEP from the group of the socialists and one of the two representatives of the European Parliament in the negotiations, Ivailo Kalfin, said that the discussion had turned into "a zero sum accounting game". He added that neither the Cypriot proposal for a 5% reduction of the budget nor Herman Van Rompuy's for 8% reduction were acceptable for the EP. 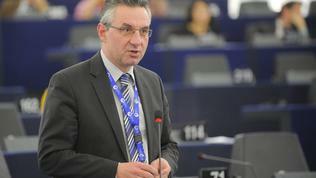 "What the Parliament is fighting for is to ensure money for policies that had already been defined. Who defined those policies? 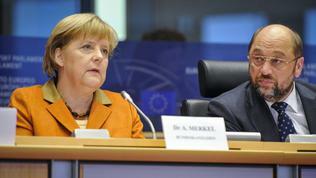 The European Council itself did, the leaders who now refuse to secure funding for the implementation of these policies". 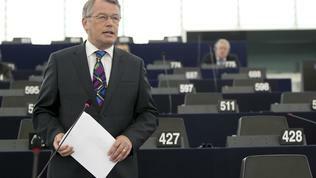 The other EP representative in the negotiations, the German Reimer Böge (EPP, Germany), expressed concern that Herman Van Rompuy came up with a proposal of his own that would replace the negotiating box, thus enabling the Council to go to their own arrangement. 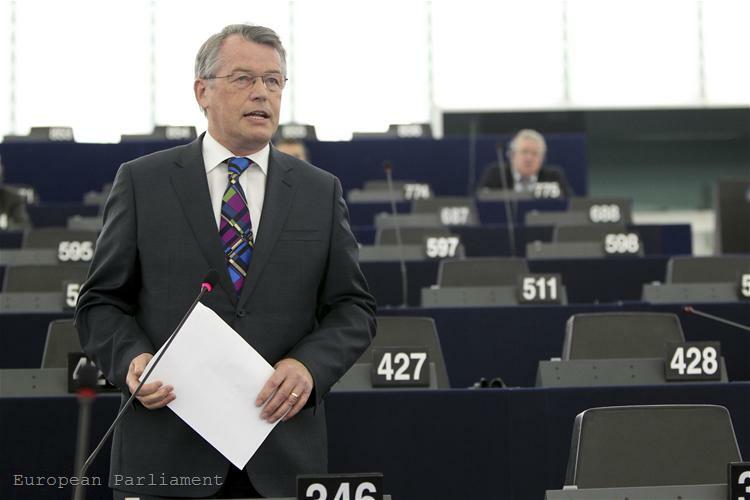 And the budget committee chairman in the EP, Alain Lamassoure (EPP, France), pointed out that Van Rompuy wanted to turn the Council into a conclave, while Hannes Swoboda directly asked why was Mr Van Rompuy not present to defend his proposal. In conclusion, on behalf of the Commission, EU Inter-institutional Affairs Commissioner Maros Sefcovic (Slovakia) tried to unveil some myths and most of all the one that in times of national budget cuts an increase of the European budget cannot be demanded. In Sefcovic's words, only in 5 member states there were genuine budget cuts. In the rest, there were only budget deficit cuts, while in fact the budgets were growing. The Cypriot Presidency, which practically fell out from the negotiations process after the negotiating box it was preparing would be replaced by Council conclusions, said that the negotiations were a catharsis for the EU, which "we have to go through together". Thursday is the X-day for the EU. In his letter-invitation to the EU leaders, Herman Van Rompuy wrote that "everyone must understand that, with less money, we cannot do the same as before. Political choices had to be made". In fact, the choices the leaders will make on Thursday and Friday are not just about money. It is about something much more than this. Guy Verhofstadt, the leader of the liberals in the EP, explained like this: "If we want a federal Europe that we very much need, 1% of GNI is not enough". He also recalled the situation from 2005 which was repeating itself when a deal was reached in the very last moment during the British EU Presidency with PM Toni Blair. But back then everything was different - the eurozone crisis was not there, the threat Britain to leave the EU was not there either. It was about whether the Europeans wanted to eat French cheese. 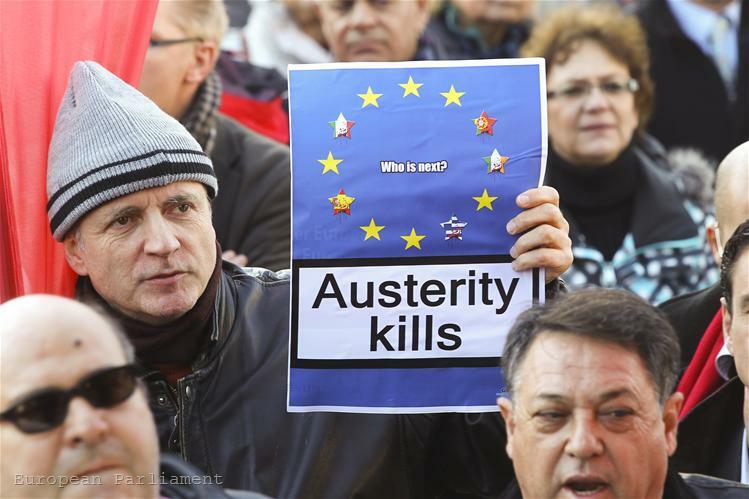 In 2012, it is about whether many jobless Europeans will have anything to eat and whether Europe will continue to lose market share on global markets.